At Wicked Wheels we take the view that it’s not enough to merely offer a service – we want to provide excellence in everything we do. It’s this attitude that has set us apart and enabled us to become the largest alloy wheel refurbishers in the UK. You can book your alloy wheel repair online by filling in the simple book online form with a photo of your damaged Alloy Wheel and we will get back to you to arrange a date for repair. *I consent to you storing and using my personal information to get in contact with me regarding my enquiry. We will reply with a fixed repair quotation and available dates. Find your nearest Wicked Wheels Alloy Wheel refurbisher for all your alloy wheel repairs across the UK. At Wicked Wheels, We visit you at your chosen location, Mobile Alloy Wheel Repair and Refurbishment.  Save time, save hassle with Wicked Wheels mobile vehicle refurbishment. Improve the look of your vehicle and increase its value. Fill in the details below and we will call you back to discuss your requirements. This form collects your name and telephone number so we can communicate with you regarding your enquiry.